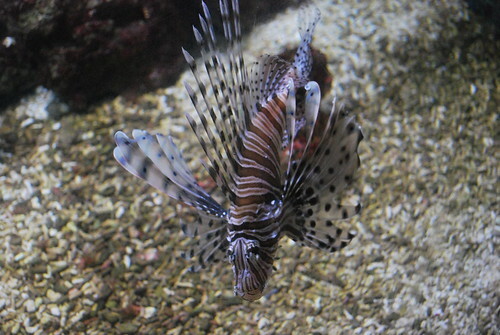 A Lionfish is any of several species of venomous marine fish in the genera Pterois, Parapterois, Brachypterois, Ebosia or Dendrochirus, of the family Scorpaenidae. 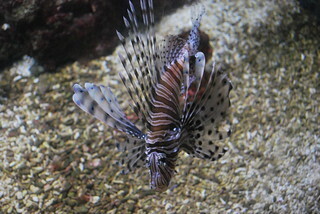 The lionfish is also known as the Turkey Fish, Dragon Fish, Scorpion or Fire Fish. They are notable for their extremely long and separated spines, and have a generally striped appearance, red, green, navy green, brown, orange, yellow, black, maroon, or white.